It's National Chiropractic Health Month! Did you know that experts estimate as much as 80% of the population will experience back pain at some time in their lives? In addition, back pain is the single leading cause of disability worldwide as well as one of the leading reasons why people are prescribed opioids. Research shows that opioids do not provide clinically meaningful pain relief for people with chronic back pain. And with those statistics in mind, we’d like to share a natural approach that doesn’t require drugs or surgery and can help relieve back pain—chiropractic care! Chiropractors are widely recognized as providing the safest drug-free, non-invasive therapies available for the treatment of back pain and other musculoskeletal complaints! 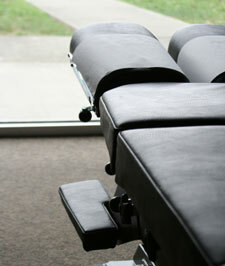 At our practice, we have the privilege of witnessing patients respond to chiropractic care every day. Quite frankly it is humbling to see the body help heal itself with the appropriate treatment. We know that sometimes it’s difficult when you are troubled by pain to seek the help you need either because you feel so bad or don’t know where to start. Our staff is professionally trained to help you navigate all the steps you need to get started from gathering your health history to investigating your chiropractic benefits for your insurance policy if needed. Our doctors will carefully exam you and take the time needed to discuss your concerns and answer your questions before your treatment. If you’ve been wondering if chiropractic care would be helpful for you or are considering how to address your back pain, you’ve found the right place to start. Contact us to book your first appointment and discover the benefits of natural chiropractic care—we know you’ll be impressed.